Jonathan is a J.D.-Ph.D. student at the Duke School of Law and the Duke Marine Geospatial Ecology Lab. Broadly, Jonathan seeks to better understand the intersection of legal and ecological processes, particularly as it relates to species conservation, biogeography, and ecological connectivity in areas beyond national jurisdiction. Before joining the lab in the fall of 2017, he worked as a High Meadows Fellow with the Environmental Health team at Environmental Defense Fund. There he contributed to the team’s successful efforts to pass reforms to the Toxic Substan ces Control Act, provided GIS and statistical support to the team’s research endeavors, and produced a podcast dedicated to health science communication. He obtained his A.B. in Ecology and Evolutionary Biology from Princeton University in 2015. His undergraduate thesis, advised by Professor David Wilcove, explored tropical forest restoration in Costa Rica. 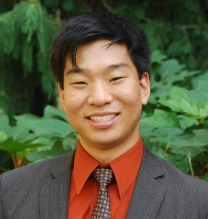 His personal website is jonathanjunochoi.wordpress.com and he can be reached at jonathan.j.choi@duke.edu.